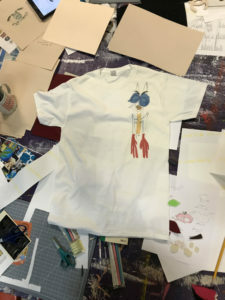 Some highlights from Fashion Design this week where we made heat transfer shirts of custom designs. Folks were making images in all kinds of media to ultimately produce some amazing pieces. 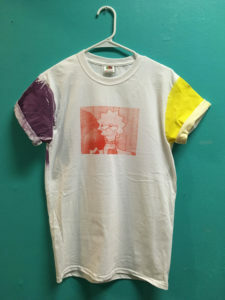 Youth were learning and honing their skills in the process of screen printing this week at the AS220 Printshop. 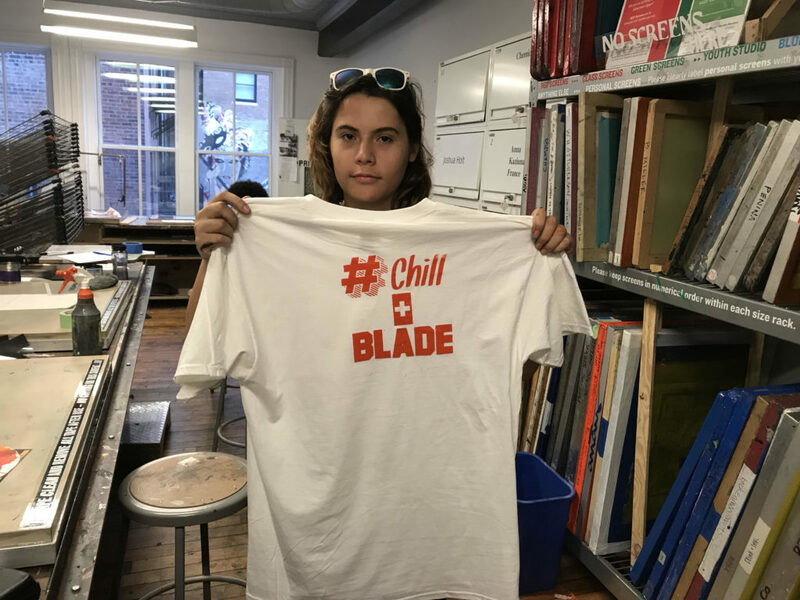 #chill+blade is the next hashtag of a rollerblading movement. 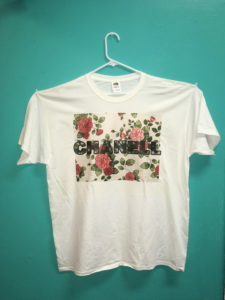 This is the first shirt in a revolution and an amazing line of swag. There are even posters!!! All printed during Intro Printshop and Print 1 on 1 this past week.